Ballroom dancers are always striving to improve their dancing, but in my observations as a teacher there is one mistake commonly made that’s more severe than all the others, and it seems to affect dancers at every level. The human head weighs, on average, between 5 and 11 pounds (though we’ve all known people with heads that, based on their behavior, must weigh considerably more). This is about 8 percent of the weight of an average person. As a result, what dancers do with their head has a significant impact on how the couple moves together. When we hold our posture in a proper vertical stance, the head is directly aligned over the spine. This creates a central point of balance all the way down the body that allows the weight to be evenly distributed for minimal stress on the spine. The diagram at left shows the gravity line from the top of the head down through the feet. Anything we do with the head can distort this perfect balance point to pull the body in a direction that we didn’t intend, or it can keep the body from going where we want it to go. 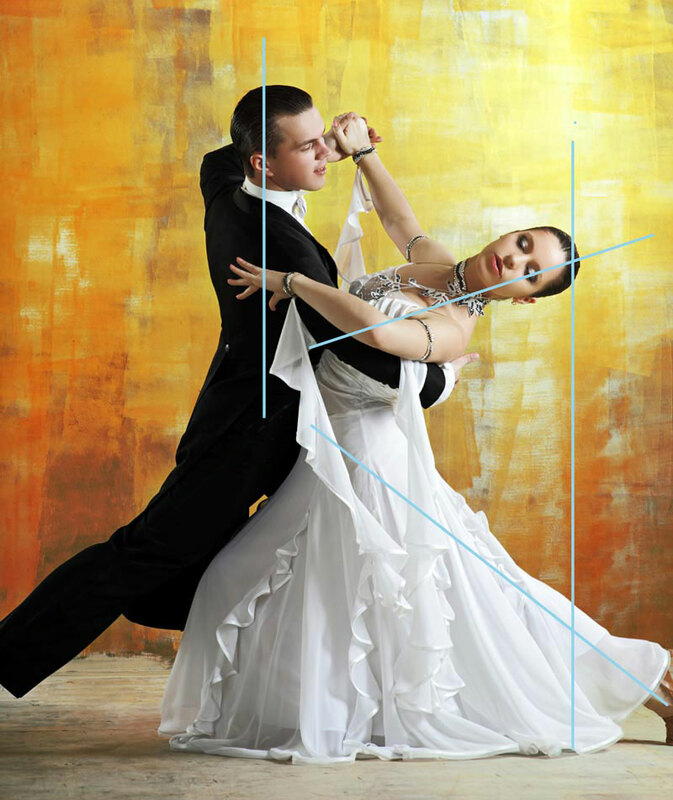 Ballroom dancers have a unique challenge in that they need to keep the alignment of the head over the spine while moving continuously in very dynamic shapes. Unfortunately, most dancers find themselves using their head incorrectly, applying forces that affect their dancing in undesirable ways. The normal spine (like the example shown here) is not actually straight up and down but curved. At the neck it has a convex curve to the front. A variety of conditions can impact this curve, and because it’s hidden from view, these conditions may go unnoticed for years or even a lifetime. 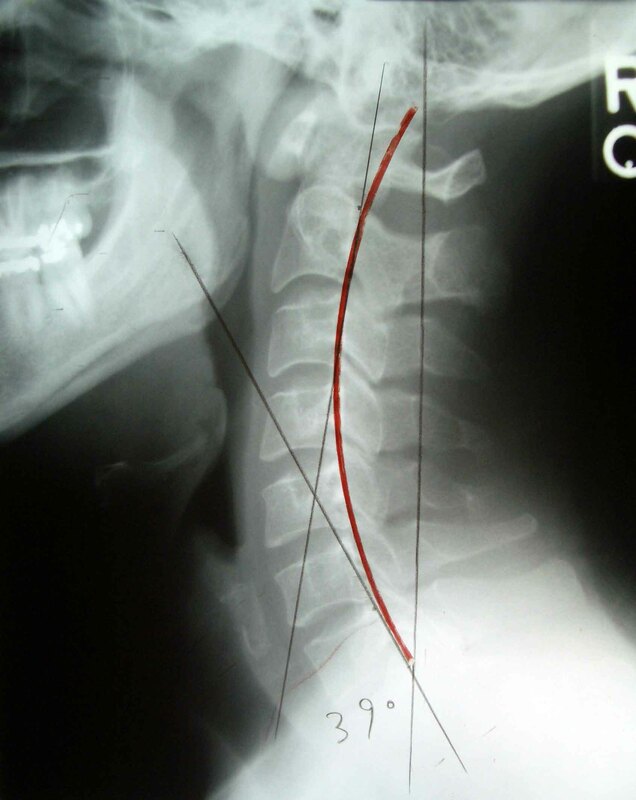 Whiplash injuries, spinal degradation or poor posture can cause this curve to be affected, sometimes straightening or even curving in the opposite direction. But even those with a healthy curve can do things while dancing that undermine their normally great posture. Naturally, any variation from the ideal curve can impact a dancer’s balance as well as the way they move. For example, trying to spin with the head tilted, even a little, is pretty much impossible. Over time, bad habits can lead to back pain and serious spinal conditions. We’re often not even aware of these changes because they happen gradually and because, short of x-rays, we can’t even see it happening. The most common dance error is using the head incorrectly. When the head is brought forward, it straightens the perfect spinal curve. This has a significant impact on your dancing. First of all, it adds weight to the frontal part of your body, pulling you off balance. It affects your partner. It adds stress to the spine. For every inch the head comes forward, the spine has to deal with an additional 10 pounds of unexpected pressure. And when your head is in front of the spine, even slightly, it robs you of the power to drive forward from the standing leg. 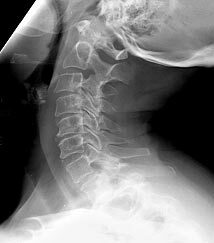 Shown in this x-ray is an image of spinal flexion, or forward movement of the head. You can see how this brings the body’s weight forward, in front of the spine. Obviously, at the moment we do this, the body’s alignment is no longer perfectly balanced. Body weight moving forward affects the way you move, the way your partner feels, and other factors in your dancing. You might wonder why I’m targeting head position and not just saying that “posture” is the mistake. That’s because poor posture is the result of poor head position, not the cause of it. We need to deal with the underlying problem rather than the symptom. These problems tend to start at the very beginning. When first learning to dance, men and women often look down, though for different reasons. Men are concerned about stepping on their partner’s feet. They look down to make sure they are keeping their feet clear of their partner. Women look down to try and guess the man’s movements by watching his feet, taking their lead from what his feet are doing instead of feeling what his body is doing. This can lead to a bad habit that is hard to break. As dancers get more experienced, they usually stop looking down at their feet, but that doesn’t mean they stop looking down.I see two common problems with intermediate dancers. The first is a tendency to look downwards because of a lack of confidence. Men typically look down because they are too busy thinking about their steps to look confidently ahead. Men might look at their partner just because she’s pretty.Women will often look at their partner, expecting to find some indication of his lead from the expression in his face or where he is looking, rather than feeling what his body is doing. I understand that women are often challenged because a man learning to dance doesn’t lead clearly. Unfortunately, looking at your partner puts your head in the wrong place, except when done deliberately in a strategic way (such as the man looking at his lady to bring attention to her). If these actions aren’t checked quickly in the learning process, they lead to bad habits. Shown here are several common posture positions that affect dancing. You can see how looking down brings the head position forward and destroys a clean postural line. I even see competitors at the Championship level who are looking at a point about 8-10 feet in front of them, obviously thinking about their technique and their steps rather than enjoying the fact that they’re dancing with a partner in their arms. In some cases, men look down at the floor in front of them to judge floor craft opportunities. Despite the honorable reason to be gazing there, it’s the wrong way to deal with a very real need as a dance lead. You can accomplish the same goal by keeping your head up and using peripheral vision to see the dancers in front of you. It takes practice, but this is the proper way to handle that issue. For every inch the head comes forward, the spine has to deal with an additional 10 pounds of unexpected pressure. When the head is angled forward, it also leads to other errors such as moving your body forward from the head rather than moving from the center. If the head is placed one or two inches forward, it adds 10-20 pounds of weight to the front of the body. This will cause the upper body to move before the rest of the body can engage, even if you try very hard to avoid it. In essence, you’re already falling into the step before you begin moving. That ruins your technique. In steps where the head must turn, such as Promenade Position or the Chasse, the timing of that head turn is just as important as the position of the head. 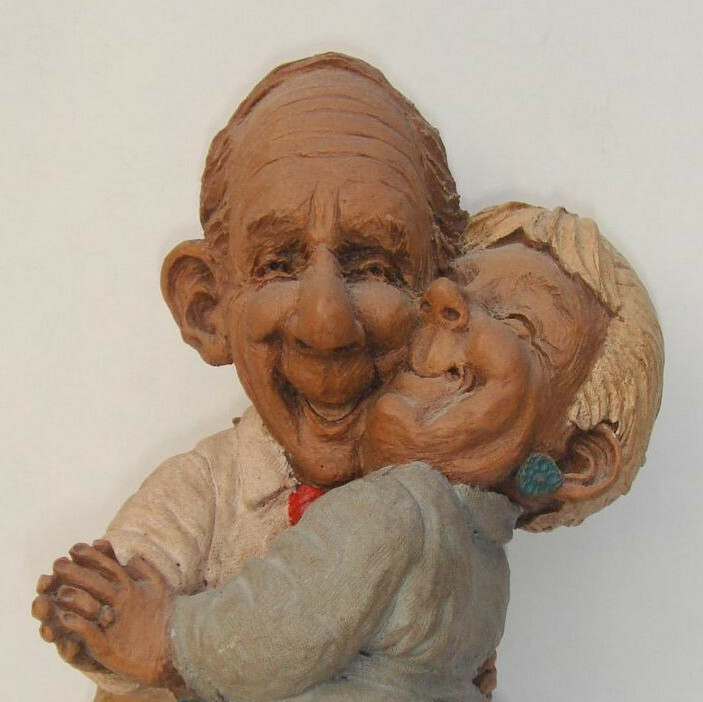 If the head turns too early or too late, it impacts the movement of the couple. And if the head is angled downward or towards the partner, it not only affects the couple’s balance, but looks small as well. Some dancers, particularly women, try to avoid this problem by either leaning back or by angling the head upwards so that the curve of the spine is extended. This is just as bad as placing the head forward. Instead of stretching to keep their head aligned with the spine in a beautiful line, women bend their head back, looking up at the ceiling. That pulls the partner off balance, especially in rotational steps. A common mistake by ladies is to send the head back before their foot is fully extended behind them. This places the weight of the head behind the spine. Even experienced dancers make this mistake in steps like the Contra Check. Even if the lady takes her head back at the same time as her foot, she will pull the man off balance. Instead, she must send the foot first, then the body and finally she can extend the head. When walking backwards, a dancer who moves the head back before the foot is extended will begin to fall into the next step, causing the action to speed up and get out of control as the feet desperately try to keep the body from falling. A recently published scientific study looked into the male dance moves that women found most attractive. It compared different amounts of leg, upper body and arm movements, using computer-generated video avatars to avoid any sense of favoritism. 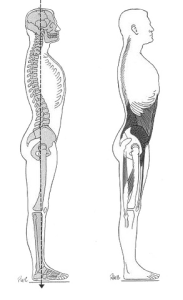 The researchers came to all kinds of conclusions about how big the leg and body movements should be, but curiously seemed unaware of the head in their study. What fascinated me was how the results related directly to head position. In every case, the dance moves the women found unattractive were made with the avatar’s head slightly forward, looking down or otherwise communicating a lack of confidence. We are drawn to confident looking people because that look speaks of strength and victory. We feel safe around them. When the head is tilted even the tiniest amount forward, we instinctively evaluate this as a lack of confidence. A head that is aligned with the spine conveys a look of confidence. It will make you look better, and keeps you properly balanced at all times. This photo shows a Throwaway Oversway. Notice how the man has great posture, with his head aligned over the spine and not forward. Notice how the woman, though her head is back, has the leg extended well past her head position so that she remains perfectly balanced. Her head is also aligned with the spine. The center of the couple is joined properly in the space that represents the center of gravity for the couple. There are some things wrong with this Oversway (amount of rotation, for example, is incorrect), but those problems aren’t relevant to the discussion of head position. How is your head position when you dance? Where are you looking? Do you find yourself looking down or a few feet in front of you? Or might you be overcorrecting by bending your head back? If you’re a lead, try to use your peripheral vision to judge floor craft issues while looking up and past the other dancers on the floor. As a performer, you should constantly be aware of your spine and the angle of your head in relation to your spine. As you move, your spine will adjust. Some steps will cause the spine to be slightly tilted away from your partner. In that case, your head should also be tilted to maintain that clean line from the top of your head through your spine. But when doing so your feet need to be behind you so that you are balanced properly. At other times, the head should be looking straight ahead. A good rule of thumb is to look at a point slightly above the head of a person standing on the edge of the floor, but this will depend, in part on your height and the step you are making at the moment. Only in very rare cases should the head be tilted downwards, and even then it is still aligned strategically with the spine. Practice holding your partner in dance hold and swaying left and right to see how it affects your head position. Using a mirror often helps. Practice swinging forward and back to see how your head needs to be positioned to stay aligned with the spine. Most of all, practice compressing vertically and moving from the standing leg so that your head and upper body are not moving before the center.